Nintendo has joined forces with Dreamworks, 3net and Blue Man Group to provide fun, entertaining 3D content for the Nintendo Video service. DreamWorks Animation are to provide two new Halloween-themed animated shorts that will premiere on the service this month. The first video is available starting today across North America and features characters from the studio’s 2009 release Monsters vs. Aliens. 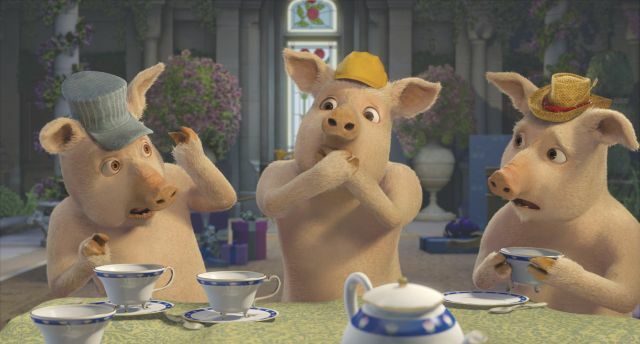 Another video that will feature the three little German pigs from the Shrek films will also appear later this month. In addition, 3net, a joint venture formed by Discovery Communications, Sony and IMAX, will provide short content from the network’s original series including ‘Bullproof’, the story of four bull riders; ‘Feeding Time’, an up-close look at adorable animals such as pandas, penguins, lemurs and otters; and ‘Building the Brand’, a series that explores the creation of some of the world’s most iconic products. Lastly, the Blue Man Group series of videos culminates this month with its sixth, final video titled ‘The Remote’ which showcases their signature blend of humour, infectious music and theatrical flair. “Nintendo 3DS is a powerful platform that allows content creators to reach users on-the-go, and we are thrilled to be working with Nintendo to make some of our DreamWorks Animation 3D content available this Halloween season,” adds Jim Mainard, Head of Production Development for DreamWorks Animation.